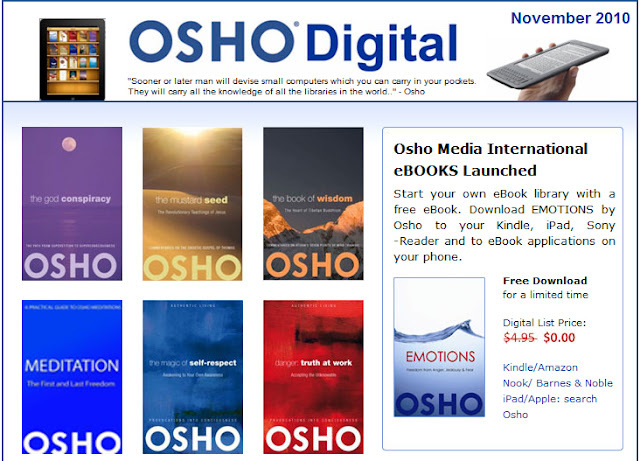 Click to our OSHO Digital Newsletter – November. These eBooks are available for all eReaders or application formats on your computer and mobile phone. Start your own eBook library today. This entry was posted in eBooks OSHO Media. Bookmark the permalink. One thing I’d like to say is that before getting more laptop memory, look into the machine in to which it could well be installed. If the machine is usually running Windows XP, for instance, the memory threshold is 3.25GB. Using greater than this would easily constitute a new waste. Make sure one’s motherboard can handle your upgrade volume, as well. Thanks for your blog post. Heck of a job there, it absolteuly helps me out.